Lipetsk is one of the ancient towns in Russia. It is located in the western part of the Oka-Don Lowland, on the Voronezh River, 508 km south of the Russian capital. In the city, there is a railway station, a large pier and an airport. 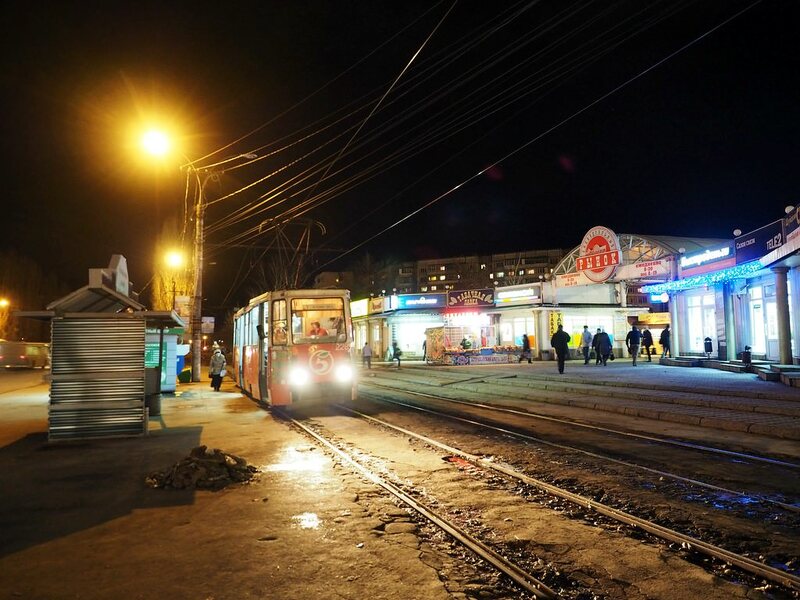 Lipetsk is a large transport hub, which population is over 500 thousand people. At the beginning of the 18th century, there was the village called Malye Studyonki Lipetskiye. In 1702, upon the order of Peter the Great, plants for processing steel, iron and making cannons were built near the junction of the Lipovka and Voronezh rivers that were rich with the deposits of bog ore. In 1709, the settlement formed near the plant was renamed Lipskiye and a little later - Lipetskiye Zhelezniye Zavody. In the second half of the 18th century, the settlement turned into the chief town Lipetsk that was a part of the Tambov Governorate. The plants built upon the order of Peter the Great had worked until the late 18th century. They were closed in 1795. Lipetsk is divided into two parts with the Voronezh River. The historical district of the town is on the right bank where most of the residential buildings are located. Exactly this district attracts more inquisitive tourists who want to admire historical monuments. As for the left bank, this is an industrial district. The town is also visited by many business tourists, so the hotel and gastronomic infrastructure of Lipetsk deserves the highest praise. In the surroundings of Lipetsk, there are archeological monuments telling about ancient settlements that were located at the site of the modern town in the past. Archaeologists found the layers of the 3rd century BC on “Lipetsk Lake”. There were also settlements located at the site of the Lipetsk TV Tower in the 2nd century BC. In pre-revolutionary Lipetsk, there were many parish churches, most of which were destroyed in the Soviet period. In Lipetsk, fans of excursions should certainly visit the Borki Residence built in 1901. At the beginning of the 20th century, it belonged to the noble family. The residence resembles a real medieval castle with its silhouette. The historic building has been partially preserved to this day. In the first half of the 20th century, the residence belonged to the famous merchant Sheremetyev who built here a big stable and bred horses. After the Revolution, this historic building served as an orphanage and then school. The construction has recently been recognized as a historic monument of national significance. The Local History Museum will tell you about the history and cultural heritage of the city. It impresses with its size. The museum collection includes almost 200 000 exhibits presented in 18 showrooms. The museum collection started being formed in 1909. Now, its visitors have an opportunity to see the collections of old books, pieces of art, religious artifacts, and ethnographic exhibits. Travelers with children should visit the Zoo of Lipetsk opened in 1973. Today, this zoo is a home for 3.5 thousand animals and birds of 300 species. Here, you can even see rare animals listed in the Red Book. Not so long ago, the petting zoo was opened in the territory of the zoological garden. Here, you can see the friendliest representatives of the animal world. In the zoo, educational excursions are often held for children of different ages. Among religious attractions of the city, the Nativity Church built in the period between the 18th-19th centuries is worth being mentioned. Like other religious monuments, the church was abolished after the Revolution. The building served as the Local History Museum for some time and gained its original status back only in 1991. Despite its heavy fate, the temple has preserved its magnificent historic exterior. In 1991, it was recognized as a main religious venue in the city. This guide to iconic landmarks and sights of Lipetsk is protected by the copyright law. You can re-publish this content with mandatory attribution: direct and active hyperlink to www.orangesmile.com. All about Lipetsk, Russia - sightseeings, attractions, touristic spots, architecture, history, culture and cuisine. Prepare your trip together with OrangeSmile.com - find out the 'must see' things in Lipetsk, which places to visit, which excursions to take, where the breathtaking views are waiting for you. Planning your trip with this travel guide will help your to get the most out of Lipetsk in few days.